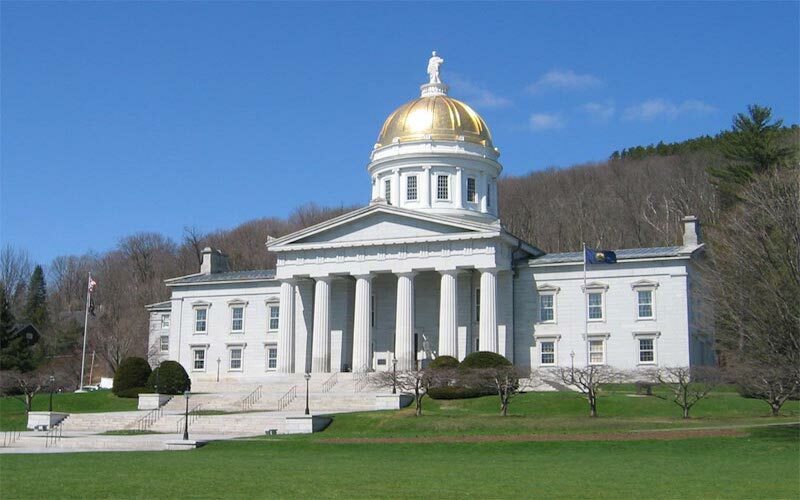 On June 26, 2011, Governor Chafee signed into law the “Distributed Generation Standard Contracts Act.” The bill had passed both houses of the General Assembly unanimously. The “distributed generation” in the title of the law refers to small, local renewable energy projects. The new law was designed to do three things: (1) increase the number of small renewable energy projects that are built in Rhode Island; by (2) making it easier, quicker, and cheaper for developers of these projects to get contracts to sell their electricity to Rhode Island’s dominant utility, National Grid; and (3) get those renewable energy projects distributed into more of Rhode Island’s cities and towns. Not every law passed by the General Assembly works out the way it was meant to, but the Distributed Generation Standard Contracts Act has been phenomenally successful in accomplishing each of its three goals. Previous renewable energy laws in Rhode Island have worked the way they were intended: to get National Grid to buy more and more of its electricity each year from clean, renewable energy sources. But Rhode Island’s previous renewable energy laws also had a significant flaw: they worked very well for big projects, like Deepwater Wind’s proposed offshore wind farm, but they worked less well for small projects (like a town that wants to set up a single wind turbine at its town hall, as Portsmouth did). That is because under the prior laws, developers would have to hire a small army of lawyers to negotiate an excruciatingly long, detailed contract with Grid, setting forth everything from the price of the electricity to delivery schedule. (For example, the contract that Deepwater filed with the Public Utilities Commission on December 10, 2009 ran 62 pages in length!) Hiring lawyers to negotiate a 62-page contract was just too time-consuming and expensive for a developer who had a small project. The new law fixed that problem. As the name of the law suggests, it provided for a “standard contract” for developers of small projects. The standard contract was short, written in plain English, and easy to understand. In addition, the law provided for a standard price to be paid, and established a mechanism for setting a fair price for each different type of project – wind, solar, and so forth. These prices were designed to be high enough to get projects actually built, but low enough to protect electricity rate-payers. And that is exactly how the new law has worked. In the 15 months since the bill was signed into law, National Grid has held three separate sign-up periods. To date, 18 separate projects have been signed up. Each of these 18 separate projects will be built right here in Rhode Island. Thus, Rhode Islanders will directly enjoy the environmental and economic-development benefits of these projects. The main purpose of the new law, to get more local renewable energy projects built, has been accomplished – in spades. The developer of each of these 18 projects got a simple, standard contract to sign, and will receive a set price for the electricity produced. Thus, another one of the law’s purposes has been accomplished. The projects themselves are located in Providence, East Providence, Portsmouth, Lincoln, Westerly, Bristol, West Greenwich, East Greenwich, Hopkinton, Middletown, Cumberland, North Kingstown, North Smithfield, and West Warwick. This geographical distribution of new renewable energy projects was a third purpose of the law. Rhode Island’s new Distributed Generation Standard Contracts Act has been so successful that it is becoming a model for the rest of the country. Renewable energy advocates in New York and Iowa are hoping to replicate the Rhode Island law in their states. The California Public Utilities Commission has circulated the Rhode Island law to its in-house legal staff. A group of Oregon legislators is poised to introduce a bill in the coming legislative session modeled after the successful Rhode Island law. The Distributed Generation Standard Contracts Act is a classic win-win. It addresses the problem of climate change by reducing the carbon emissions that cause climate change. And it helps the Rhode Island economy by facilitating local development of renewable energy projects. This is a law that Rhode Islanders can be proud of. Its enactment reflects well on our legislators (who passed it unanimously) and on Governor Chafee (who signed it into law). The law has been administered carefully and diligently by our Office of Energy Resources. And National Grid, which receives an economic incentive when projects start producing power, has worked conscientiously with developers to help developers succeed.